Herriman is a city of roughly 24,000 residents located in southwestern Salt Lake County, Utah. Craig Swapp & Associates are proud to serve the community of Herriman. Our team has the knowledge and experience fighting for people just like you. We can help you build your case as well as explain each step of the legal process, including filing a claim, answer any legal questions you may have and get you a fair settlement. Insurance companies can be a hassle to handle if you do not have past experience. If you were injured due to someone else’s negligence in Herriman, call the Herriman personal injury lawyers at Craig Swapp & Associates. Personal injury accidents can affect people physically, mentally and emotionally but you don’t have to suffer alone. Help is available. You will want someone who is experienced and understands all the legal components when it comes to personal injury law and get you the compensation you deserve. This compensation will help cover your medical expenses and doctors visits, lost wages and pain and suffering. Personal injury accidents can happen anytime of the day and affects a person physically, mentally and emotionally. Don’t waste anymore time and contact our experienced Herriman personal injury lawyers. We’re available 24 hours a day, seven days a week to offer free initial consultations. If you were injured in a personal injury accident, call us so we can advise you of your options before you sign anything! Car accidents are the most common form of personal injury in the United States. If you were injured in a car accident, the insurance company may pressure you to settle as soon as possible. Never sign anything from the insurance company before you discuss your options with an attorney. Let one our Herriman car accident attorneys help you. Thousands of people die in car accidents each year. The most common causes of car accidents are speeding, texting while driving, driving drunk and distracted driving. If you were injured in a car accident through no fault of your own, you may be wondering how you’re going to pay for all the unexpected bills related to the accident. Injuries from truck accidents are more severe than car accidents because of the massive size of trucks and the loads that they carry. Trucking accidents lead to medical bills, loss of transportation, and pain and suffering. Over 3 million trucks travel the U.S. each year. There are several reasons trucks are involved in accidents. 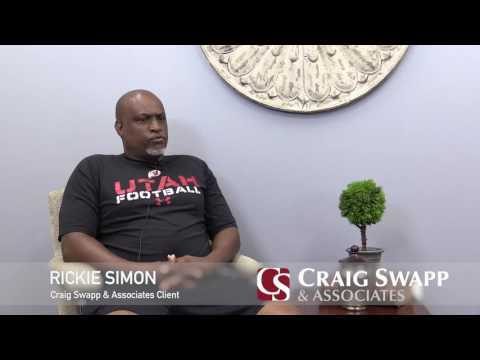 If you have been injured in a truck accident in the Herriman, Utah area call Craig Swapp & Associates. Let our experienced truck accident attorneys represent your case. At Craig Swapp & Associates we have represented other victims just like you and got them the compensation they needed. We are available 24 hours a day, 7 days a week so do not hesitate to give us a call, get a free consultation today. The lawyers all have been very helpful.Once a month they would call to let me know any new information, I felt they are working for me. I will tell people about Craig Swapp . Thank you.